First things first, have you subscribed to my website? They continue to find success with life after college in their endeavors. I think this list is important because it can help connect the black population at UNC Charlotte as it continues to grow. It’s also important to shine light on individuals who are really working hard. This year I am posting a new list. The individuals on the list have the same commonalities as before. However, the list has a few changes. I changed the name to “I Am My Brand- Black 49er Edition” for several reasons but one relates to an Instagram post I put up not too long ago. The point of my post was to share that when you are your brand you are constantly working, thriving, and focused. The second change is to include black alum of ALL ages. My plan is to drop this list every homecoming. We all know that’s a big event for not only UNC Charlotte but our Black Community as well. So, here’s a list of 20 (well 22) Black 49ers who are their brand. Ahmad created The Black Elite in 2015. More than just another homecoming party promotion team, The Black Elite has 3 tiers: The Black Elite Nightlife, The Black Elite Travels, and The Black Elite Cares Foundation. The Black Elite provides an opportunity in which blacks can have positive engagement with each other and feel safe doing so. He makes the list because on top of everything that he does, Ahmad secured a deal with Live Nation. Now “Watch This”, Tahji relocated to Los Angeles for a new start and this has been a huge win for his career. He released his EP “Genesis” on August 10th and currently has over 80,000 streams. Be sure to go check him out! Black Element is an apparel company inspired by the owners love for their alma mater, UNC Charlotte. It speaks to the culture of a generation of educated and innovative individuals. Both, Princess “PK” and Angelica juggle continuing their education and their careers, However, they still manage to produce great t-shirts. District Avenue is a lifestyle, contemporary, and seasonal fashion hub commonly referred to as “The Shelter”. The company has two parts: 1. they are a online portfolio where multiple brands sell and showcase their products 2. they aim to provide the culture with unforgettable experience through their events. Daniel and Brian make a great team! This former reality TV star has both brains and beauty. Zakiyah is a Masters Student at UNC Charlotte, an Apparel Curator, and former house guest of the CBS hit show Big Brother 18. This stylish lady has owned her own swim line and has just started an online boutique, House of Zakiyah. 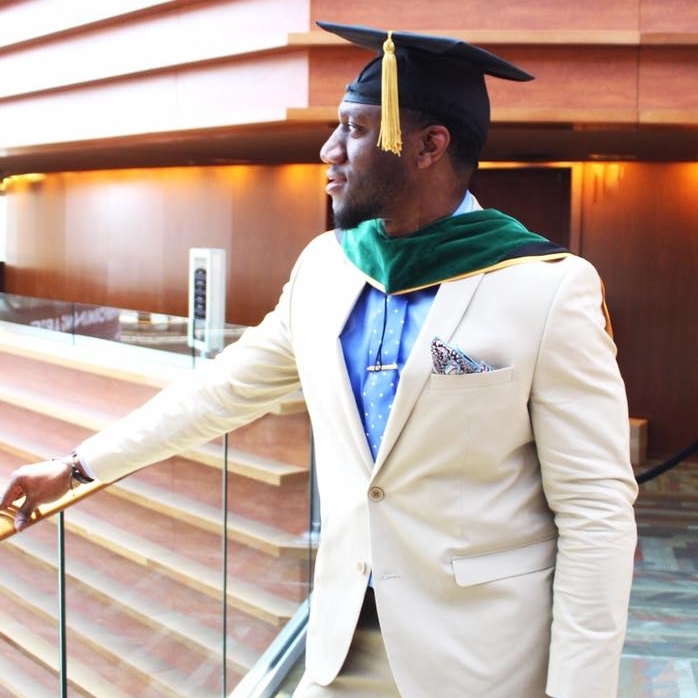 Black men make up less than 7 percent of students enrolled in U.S. medical schools. It’s an extreme accomplishment that Justin graduated from Drexel University Medical School in 2017. He is now training at LSU New Orleans in Emergency Medicine. If you are ever in New Orleans and things take a turn where you need emergency medical attention, call Dr. Okons. Tyler, owner of The Body by T Fitness describes himself as your typical college entrepreneur. Tyler started in the basement of UNC Charlotte’s gym. He began his brand based on the idea that fitness should be affordable to all. His training philosophy is built on having coaches, not trainers. A trainer effects a client for the 1 hour they train with them, but a coach effects the other 23 hours of the day because fitness is a lifestyle. Why rent when you can buy? Chantal Hamid is a Realtor that services Charlotte and the surrounding areas. She is a member of The McLaurin Realty Group- Affiliate of Katie Lane Real Estate LLC. She always provides home buying tips every Tuesday. If you are purchasing a home make sure the property is “Closed with Chantal”. Urriah, owner of Lasting Impressions Auto Detailing is devoted to providing an unmatched car detailing experience in the Charlotte Area. He continues to strive for perfection beyond today's definition and truly brings that "WOW" factor back to your vehicle. Be sure to use my promo code “finesse15” for 15% off your order ! This deal can be stacked with their current BOGO promotion. Gabbie, as many people know her works as a Previs Coordinator and 3D Stereoscopic Production Coordinator with Marvel. 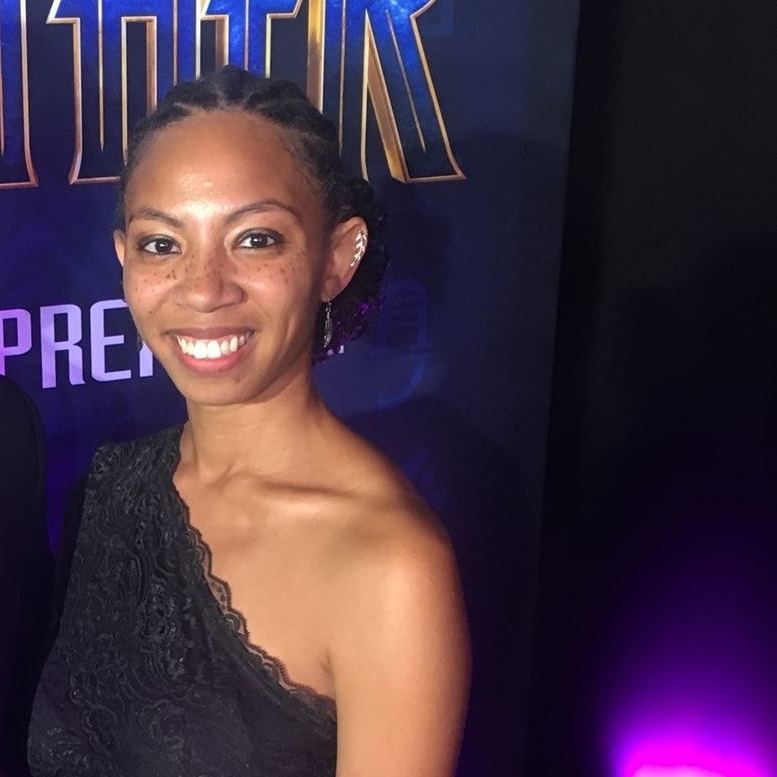 She has worked on Black Panther, Avengers: Infinity War, Ant-Man and the Wasp, Thor: Ragnarok, Tomb Raider, and Jumanji: Welcome to the Jungle. She recently began a new position as a Stereo Production Coordinator. There’s no party like or event like a DJ JLee party. Josh began at UNC Charlotte and though he is booked and busy at other gigs he still finds time to support the Niner Nation at various events. Balancing work life, fatherhood, and DJing, He truly is THE man you want at your next event. Alvin “JR” Shepherd, informally known as Big Al, uses his family heritage from Eastern-North Carolina, where he has drawn inspiration and influence when it comes to Big Al’s Barbecue. He makes his barbecue sauce fresh to order. He is available for catering services, weddings, cook-outs, family functions and/or whenever you or the community needs fresh East-Carolina style barbecue. Jowette is a firm believer in Black Love. Shes uses her own marriage as a platform to unite black couples through engaging events, uplifting conversations, and creative date nights. She’s trying to help black couples keep things exciting and keep “the spark” alive. Andrea can create almost any item. She specializes in bringing a personalized touch to your daily household items and special gifts. Customization is her thing. Be sure to follow her so you don’t miss out on her next giveaway. The blogging world can be hard, let alone being a black blogger. However, Meisha tackles it with ease. She also juggles working full time, motherhood, and being a graduate student. Humble, eager, and driven are just a few words to describe her. Meisha is taking over the blogging world. Have you read HER story? Raven’s Pour Up Atlanta is a brand new company. Offering mobile bar-tending services, gift sets, and recipes. She even has a candy shop as a tribute to one of the biggest staples in the Cone Center. Book her for a fun time because you can #PourUpInAnyCity and everyone knows Raven is the life of any good party. I literally remember Brenae at her Freshman orientation. Now, she is beating faces as a free lance MUA. Brenae has acquired over 5k subscribers on her YouTube Channel, Be The Beat. We love a good beat honey! She is taking over the make-up world one beat at a time. Keisha has come a long way from UNCC’s Tantrum Dance Team. After graduating, she took her talents back to New York. Her dancing skills are impeccable. She has graced the stage with popular artists such as Cardi B, Janelle Monae, and Lil Kim to name a few. She wants you to keep evolving your style with @keysbykeisha. Alexis has graced the big screen in the hit movie, Black Panther. She has also appeared in TV Shows such as: The Quad, Green Leaf , and Star. Look out for this actress as she continues to make strides in Hollywood. To my influencers/owners/artist who made the list, know that I see your hustle and your grind. I salute you and wish you much success and prosperity. Continue to inspire others within and outside of the 49er community, you never know who's watching. Be sure to congratulate all those who made the list! Want to be featured or have a recommendation for my next list of I Am My Brand-Black 49er Edition ? Janelle Collins- Orijanelle Designs and Grit Appael Co.
Khaleel Loyd- Lloyd Visuals LLC. Freddy K and I are Co-Founders of The Young Black Alumni. We are both members of the UNCC Greek community. However, every year we provide a tailgate experience for ALL. We truly believe that homecoming is a time for celebration and should include EVERYONE. Have you gotten your YBA Homecoming “Tailgate Experience 2018” ticket yet? Have you seen my latest video ?